ICEC is a non-government activity; members of the National Institutes of Health serve on advisory positions only. 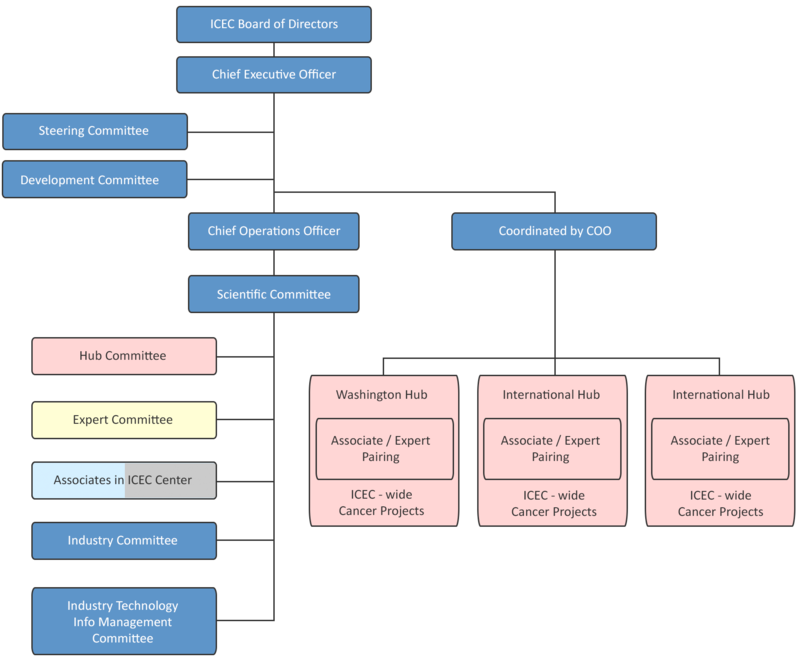 The ICEC Board of Directors and Board of Advisors are comprised of individuals with a varied range of expertise providing guidance and oversight. ICEC daily activities are conducted under Larry Roth, President; Nina Wendling, Chief Operating Officer; and Dr. David A. Pistenmaa, Executive Secretary; with advice from Dr. Norman Coleman, Senior Scientific Advisor. A Steering Committee of the Board of Directors is readily available as needed and involved in frequent calls and discussions with the Operations team. Working with the Board of Directors, various committees have established the policies and procedures to be used throughout ICEC. Formal application processes are needed to participate in ICEC, which includes a sustained time commitment.